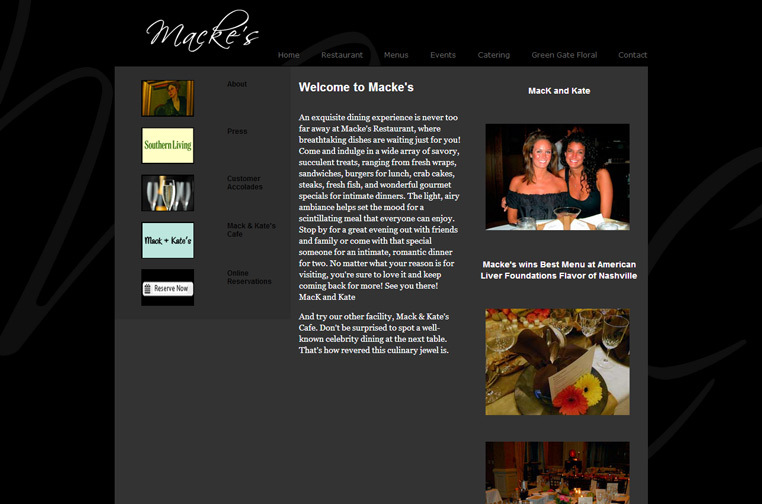 Establish Macke’s as a sought out upscale cafe. 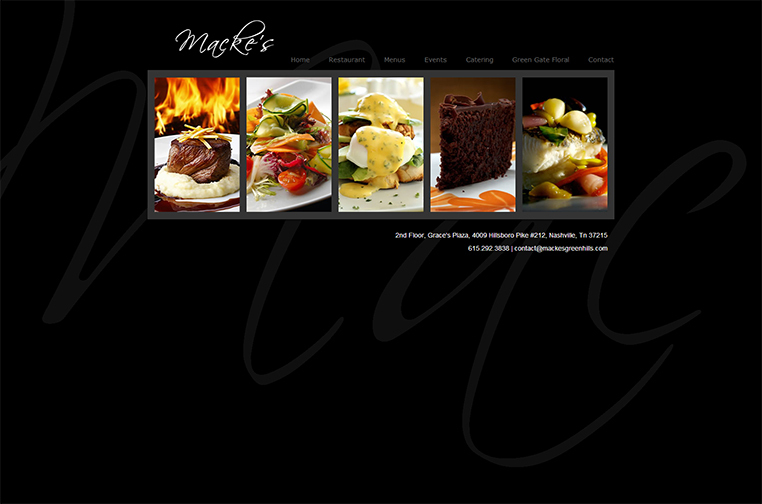 Differentiate Macke’s as a restaurant that has dedicated itself to an exceptional dining experience. The menu, food presentation, personalized service and decor needed to be emphasized. After five years, this vanilla xhtml and css website still looks current.